The compressive strength of any material is defined as the resistance to failure under the action of compressive forces. Especially for concrete, compressive strength is an important parameter to determine the performance of the material during service conditions. Concrete mix can be designed or proportioned to obtain the required engineering and durability properties as required by the design engineer. Some of the other engineering properties of hardened concrete includes Elastic Modulus, Tensile Strength, Creep coefficients, density, coefficient of thermal expansion etc. The compressive strength of concrete is determined in batching plant laboratories for every batch in order to maintain the desired quality of concrete during casting. The strength of concrete is required to calculate the strength of the members. Concrete specimens are a cast and tested under the action of compressive loads to determine the strength of concrete. In very simple words, compressive strength is calculated by dividing the failure load with the area of application of load, usually after 28 days of curing. The strength of concrete is controlled by the proportioning of cement, coarse and fine aggregates, water, and various admixtures. 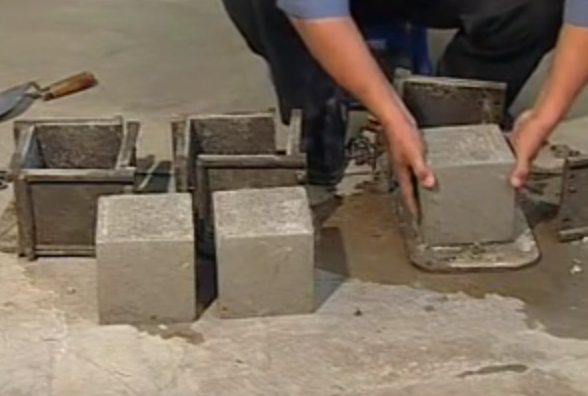 The ratio of the water to cement is the chief factor for determining concrete strength. The lower the water-cement ratio, the higher is the compressive strength. The capacity of concrete is reported in psi – pounds per sq. inch in US units and in MPa – mega pascals in SI units. 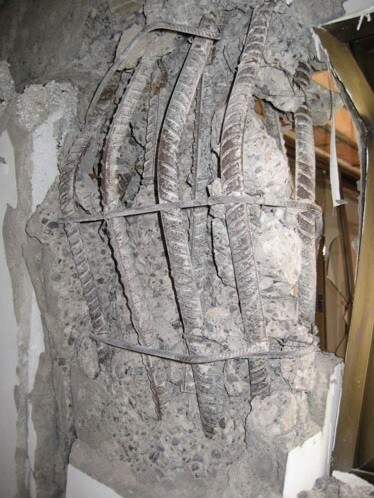 This is usually called as the characteristic compressive strength of concrete fc/ fck. For normal field applications, the concrete strength can vary from 10Mpa to 60 Mpa. For certain applications and structures, concrete mixes can be designed to obtain very high compressive strength capacity in the range of 500Mpa, usually referred as Ultra High Strength Concrete or Powder Reactive Concrete. 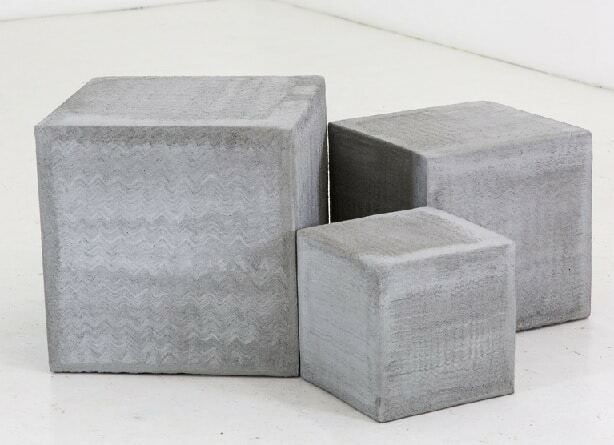 Average 28 days compressive strength of at least three 150 mm concrete cubes prepared with water proposed to be used shall not be less than 90% of average of strength of three similar concrete cubes prepared with distilled water. For quality control in case of mass concreting, the frequency of testing of compressive strength by cube test is as follows. Minimum or specified Compressive Strength of concrete cubes of various Grade of Concrete at 28 days of curing are as follows. In case of American codes, compression strength is defined in terms of cylinder strength fc’. 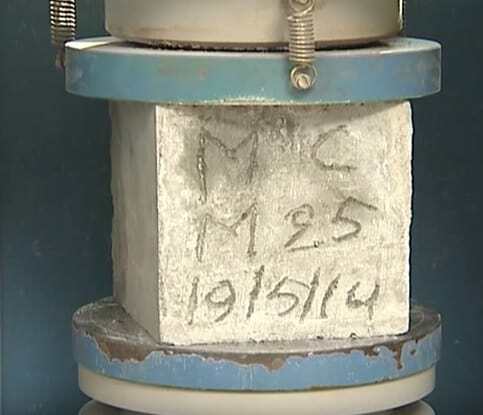 Here compressive strength of concrete at 28 days curing is obtained from a standard cylindrical specimen 150mm diameter and 300mm high loaded longitudinally to failure under uniaxial compression loading. In both cases, capacity is calculated using formula Compression capacity = Load at Failure/ Area of loading. As a thumb rule, the cylinder strength will be 0.8 times cube strength for a particular grade of concrete. Following procedure is adopted to determine the Capacity of concrete as per Indian Standards. 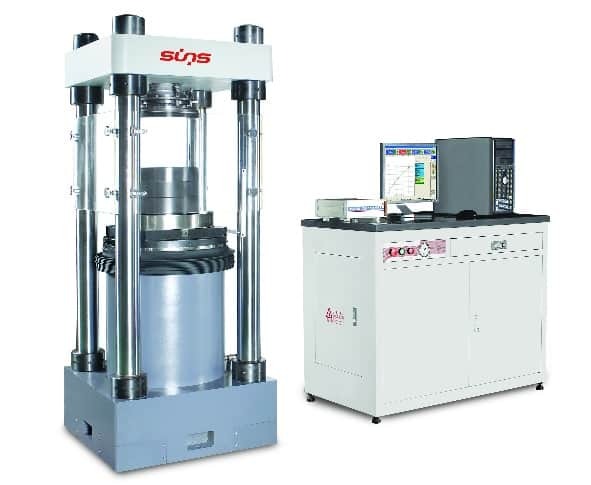 Testing Machine: The testing machine may be of any reliable type of sufficient capacity for the tests and capable of applying the load at the specified rate. The permissible error shall not be greater than 2 percent of the maximum load. The testing machine shall be equipped with two steel bearing platens with hardened faces. One of the platens shall be fitted with a ball seating in the form the portion of a sphere. the center of which coincides with time central point of the face of the platen. The other compression platen shall be plain rigid bearing block. The bearing faces of both platens shall be at least as larger as. and preferably larger than the nominal size of the specimen to which the load is applied. The bearing surface of the platens. when new, shall not depart from a plane by more than 0.01mm at any point, and they shall be maintained with a permissible variation limit of 0.02mm. the movable portion of the spherical seated compression platen shall be held on the spherical seat. but the design shall be such that the bearing face can be rotated freely and tilted through small angles in any direction. Tests shall be made at recognized ages of the test specimens, the most usual being 7 and 28 days. The ages shall be calculated from the time of the addition of water of the dry ingredients. At least three specimens. preferably from different batches. shall be made for testing at each selected age. Placing the specimen in the testing machine the bearing surface of the testing machine shall be wiped clean and any loose sand or other material removed from the surface of the specimen. which are to be in contact with the compression platens. In the case of cubes the specimen shall be placed in the machine in such a manner that the load shall be applied to opposite sides of the cubes as cast, that is, not to the top and bottom. The axes of the specimen shall be carefully aligned with the center of thrust of the spherically seated platen. No packing shall be used between the faces of the test specimen and the steel platen of the testing machine. As the spherically seated block is brought to bear on the specimen the movable portion shall be rotated gently by hand so that uniform seating may be obtained. 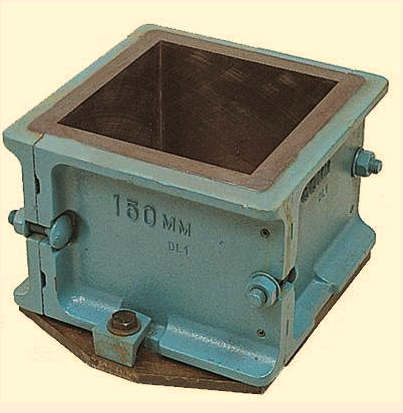 The load shall be applied without shock and increased continuously at a rate of approximately 140 kgfcm/min until the resistance of the specimen to the increasing load breaks down and no grater load can be sustained. The maximum load applied to the specimen shall then be recorded and the appearance of the concrete and any unusual features in the type of failure shall be noted. The measured compressive strength of the specimen shall be calculated by dividing the maximum load applied to the specimen during the test by the cross sectional Area, calculated from the mean dimensions of the section and shall be expressed to the nearest kg per cm2. Average of three values shall be taken as the representative of the batch provided the individual variation is not more than +/-15 percent of the average. Otherwise repeat tests shall be made. A correction factor according to the height / diameter ratio of specimen after capping shall be obtained from the curve shown in Fig. 1 of IS:5 16-1959. The product of this correction factor and the measured compressive strength shall be known as the corrected compressive strength this being the equivalent strength of a cylinder having a height/diameter ratio of two. The equivalent cube strength of the concrete shall be determined by multiplying the corrected cylinder strength by 5/4. The test results of the sample shall be the average of the strength of three specimen.  The individual variation should not be more than 15% of the average.  Any individual test result complies with the appropriate limits in column 3 of Table 11. With variation in rate of loading on concrete specimen, the strength varies proportionately. At higher rate of loading, the compressive strength increases. The increment is from 30% to almost 50% of the original strength. However, at lower rate of loading, the reduction in strength of concrete cube compared to its true strength is insignificant. 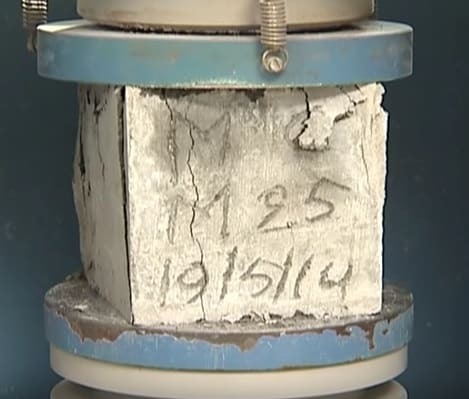 Compressive strength – the applied pressure at which a given concrete sample fails. Characteristic strength – Suppose you take a certain number of samples from a particular batch of concrete. Characteristic strength would be that compressive strength below which not more 5% of the samples are expected to fail. Thus atlas 95% of the samples have higher compressive strength than the characteristic strength.